Between establishing a budget and navigating "the four c's," shopping for an engagement ring can be a daunting task. In addition to the aforementioned logistics, you also have to decide which design is most representative of your personal style. Considering the steep price tag (not to mention, the whole "til death do us part" thing), the stakes for choosing the right ring are high. 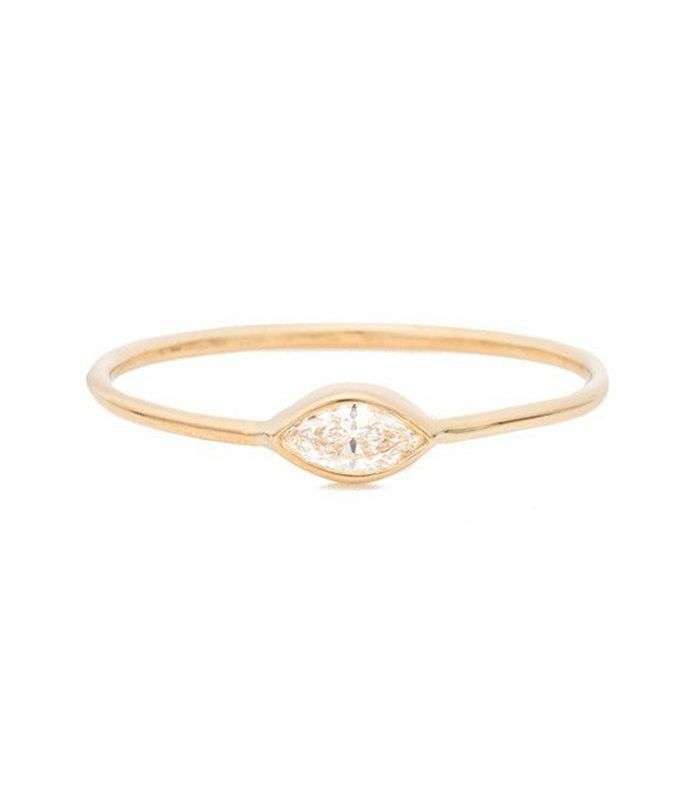 For all the minimalistic brides-to-be out there, we've curated a collection of simple engagement rings for your consideration in the gallery below. 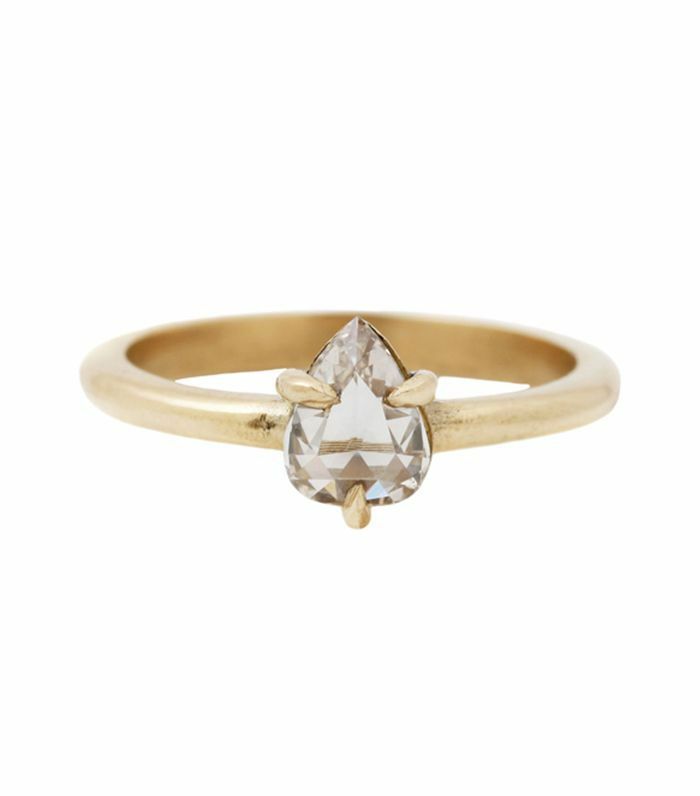 From a pear-shaped diamond ring that exudes vintage vibes to an unconventional (in the best way) marquise diamond ring, these designs may look simple, but trust us, they're anything but boring. 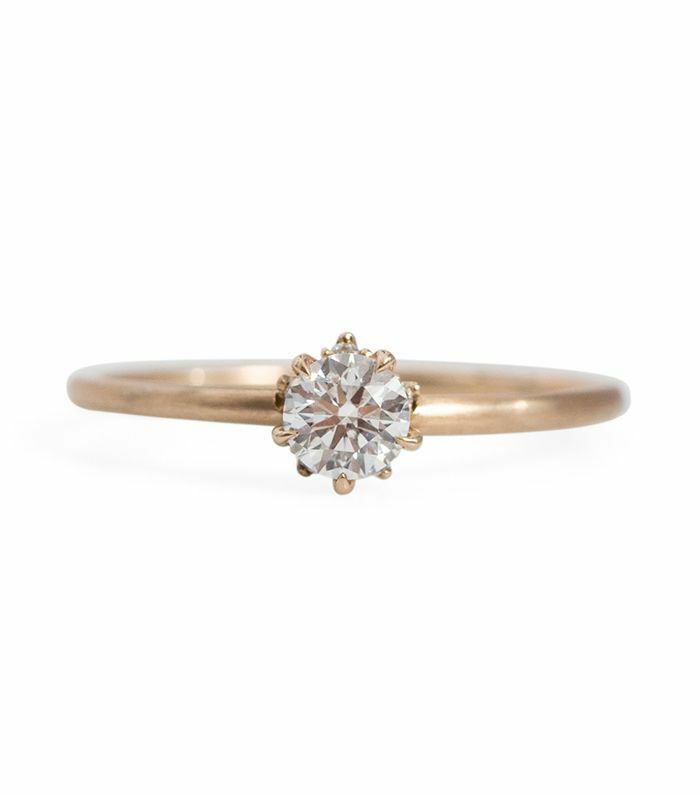 Ahead shop nine simple engagement rings that have just the right amount of sparkle. 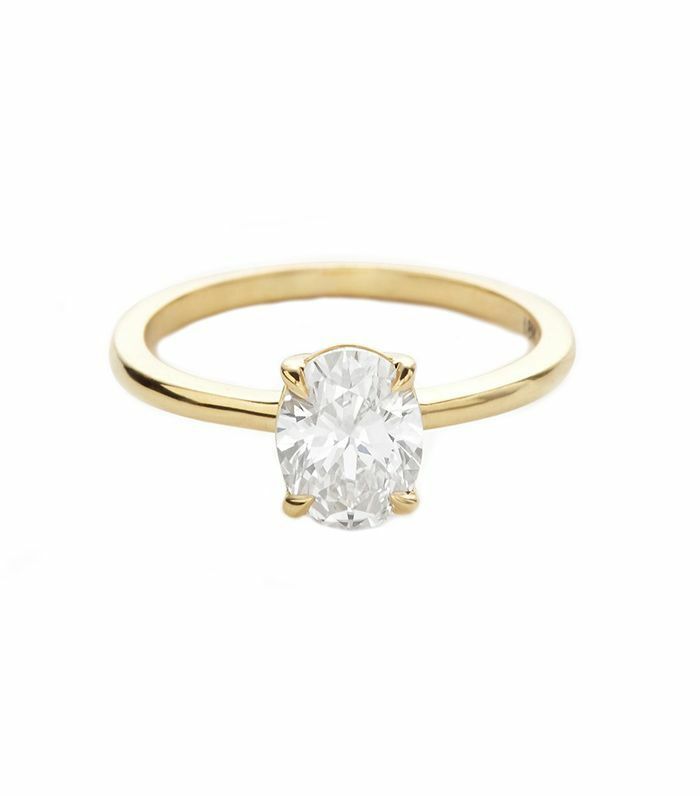 The pear-shaped, rose-cut diamond lends a slightly vintage vibe to this minimal ring. Featuring an octagon-shaped setting, this ring proves stunning minimal design lies in the details. The product description for this simple stunner puts it best—this ring is "minimalism at its finest." 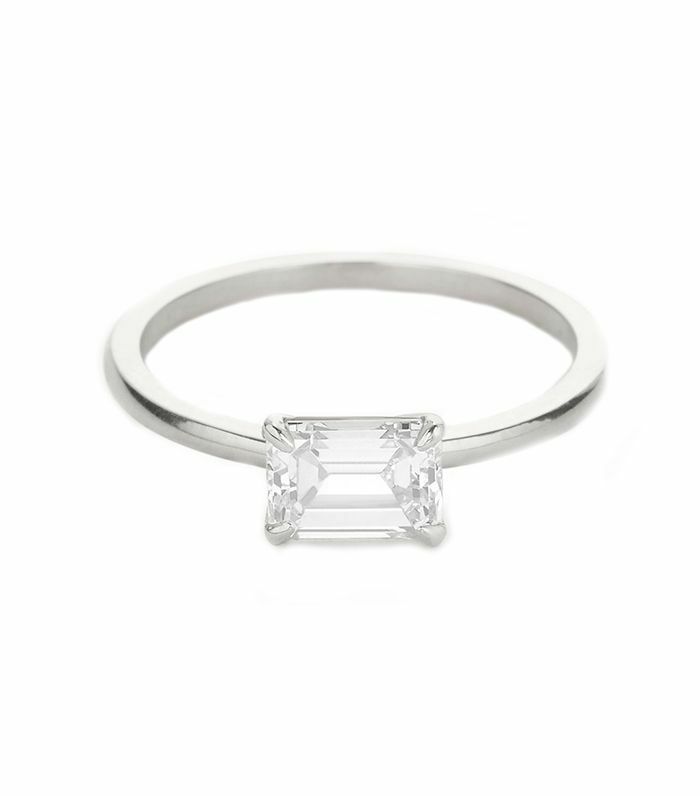 A vertically set oval diamond stands out in this modern design. 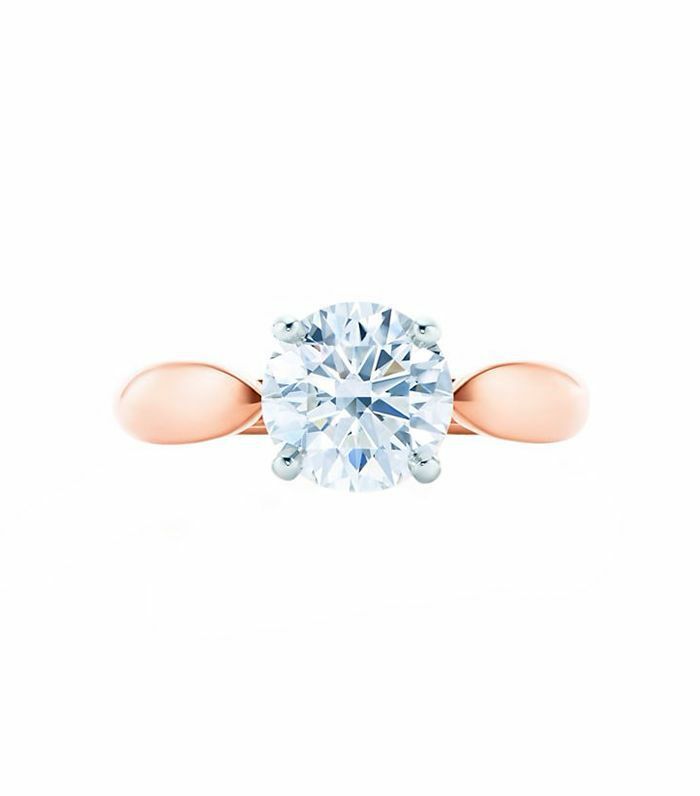 While the rose-gold band is on trend, the round-cut diamond is distinctly classic. With two baguette diamonds set back to back, this ring is the epitome of minimal elegance. 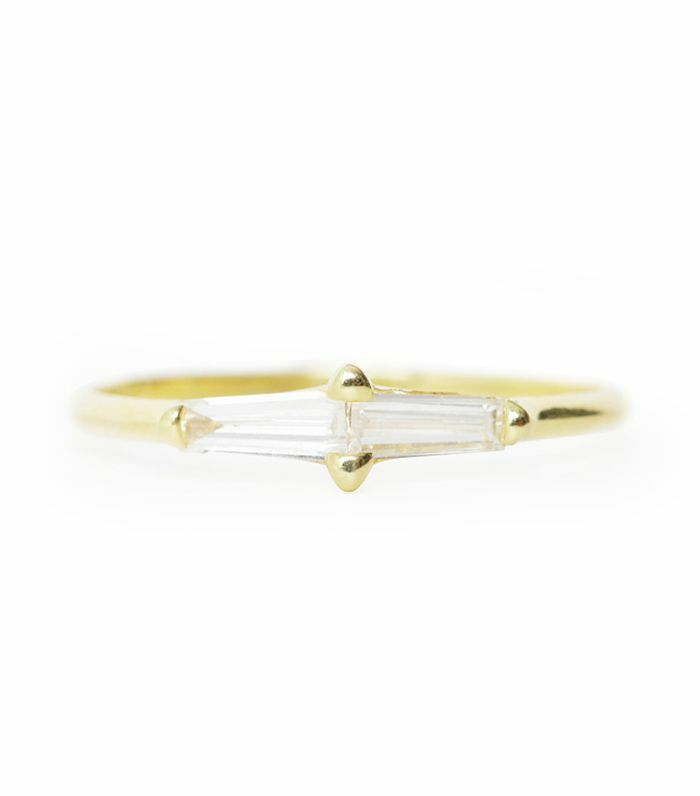 This refined ring is deceivingly simple. Look closely, and you'll notice five small diamonds surrounding the solitaire, making this design subtle yet seriously sparkly. This ring, featuring a marquise diamond set in your choice of a rose- or yellow-gold band, is the definition of stunning. 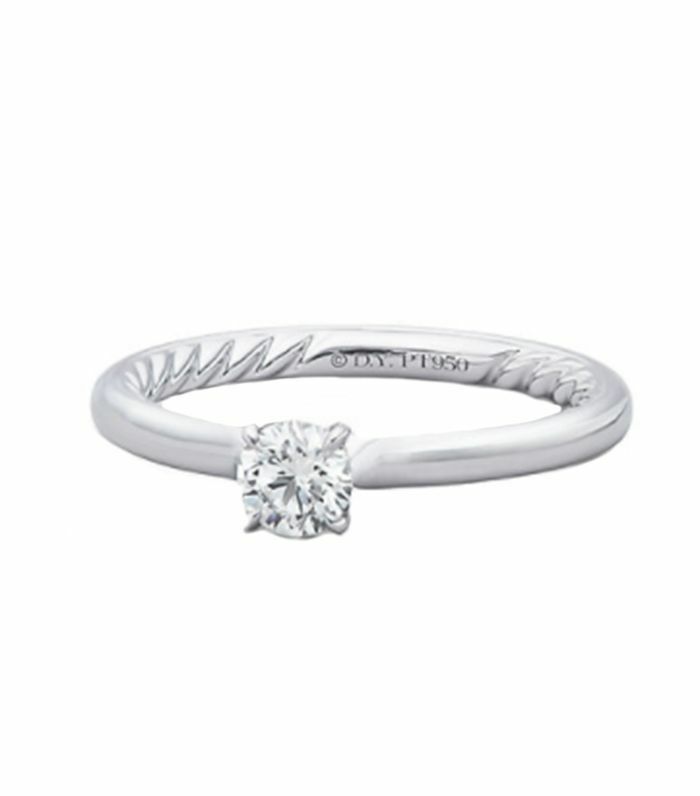 Boasting a platinum band with a cable-carved motif interior, this ring may look simple, but it still makes a statement. 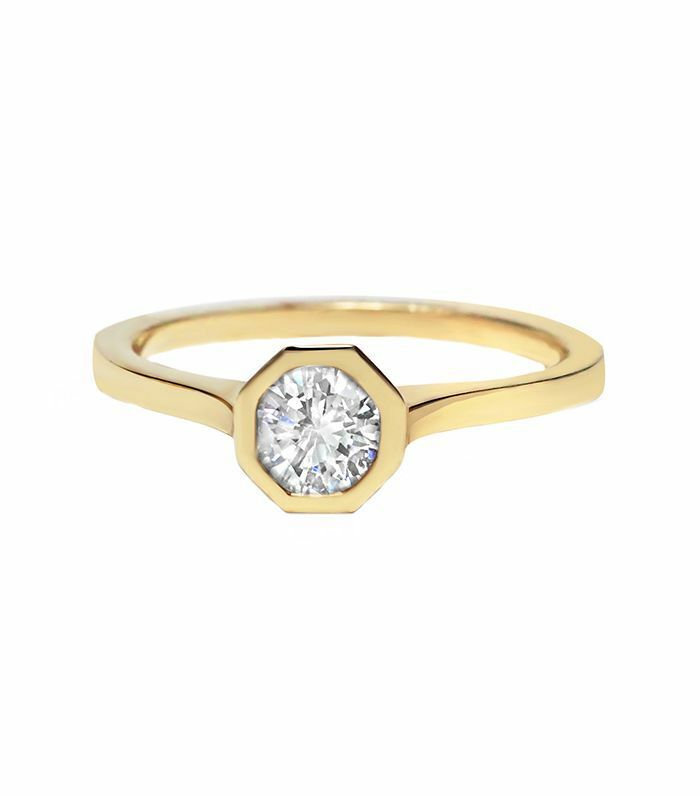 Up next: 21 gorgeous engagement rings that are out of the ordinary (in the best way).